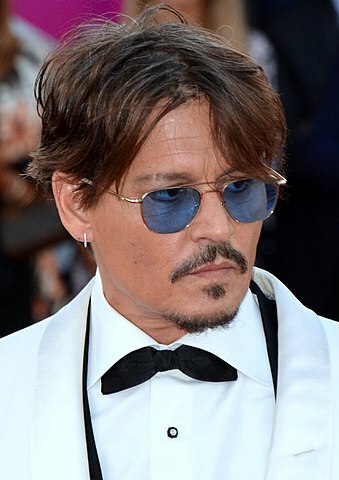 Johnny Depp was born in Owensboro, Kentucky, United States, on June 9, 1963, is an American actor. Young Johnny Depp made his big screen debut in the mystery slasher movie A Nightmare on Elm Street (1984) in role as Glen Lantz, directed by Wes Craven. Johnny's breakthrough role came as Patrolman/Officer Tom Hanson in Fox television series 21 Jump Street (1987–1991). Sweeney Todd: The Demon Barber of Fleet Street (2007) musical period horror as Benjamin Barker/Sweeney Todd. Black Mass (2015) is his favorite of his own films. Friends with Helena Bonham Carter, Christina Ricci and Serbian film director Emir Kusturica. Fan of The Rolling Stones. He was in relationship with French singer and actress Vanessa Paradis (1998-2012), they had 2 children. Johnny dated British Supermodel Kate Moss (1994-1998) and actress Winona Ryder (1989-1993). He married actress Amber Heard in 2015 and divorce in 2017. If you catch me saying 'I am a serious actor', I beg you to slap me. Am I a romantic? I've seen 'Wuthering Heights' ten times. I'm a romantic.